Learn three critical success factors in delivering business value from your advanced analytics investments. Many organizations still struggle to achieve business value (i.e. a return on investment) on their use of predictive analytics and machine learning. The primary barrier is often an inability to integrate these analytics into front-line systems and workflows, where an operational decision is directly impacting a customer. Business value is created by delivering a product or service at a lower cost, faster, of higher quality, or in a way that it better satisfies the needs of the customer. Analytics deliver value in exactly the same way. 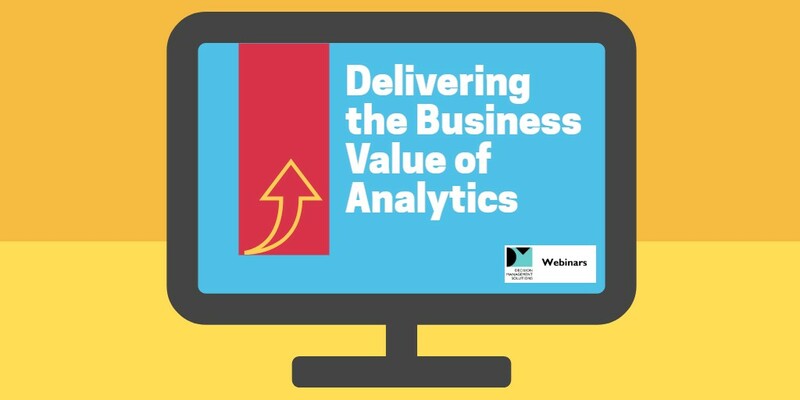 Join James Taylor, Founder and CEO of Decision Management Solutions, to learn how organizations can better tie their analytics investments to business results and deliver the business value they expect. Attend to ask your questions live or, if you would like to attend but can’t make the webinar time, register to receive a copy of the presentation and a link to the recording.